Adolescence is recognised as a turbulent period of human development. Along with the physical changes of puberty, adolescents undergo significant transformations in the way they think, act, feel and perceive the world. The disruption that is manifest in their behaviour is upsetting and often incomprehensible to the adults surrounding them. 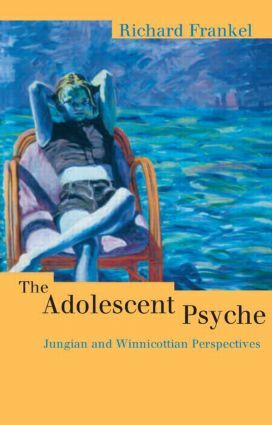 In The Adolescent Psyche Richard Frankel shows how this unique stage of human development expresses through its traumas and fantasies the adolescent's urge towards self-realization. The impact of contemporary culture on the lives of young people has resulted in an increasing number of adolescents being referred for psychotherapy and psychiatric treatment. Successful outcomes are often difficult to achieve in clinical work with clients of this age-group. The advice and guidelines which Frankel provides will be welcomed by psychotherapists, parents, educators and anyone working with adolescents. Part I Theoretical perspectives on adolescence 1. Psychoanalytic approaches 2. Developmental analytical psychology Part II Adolescence, initiation, and the dying process 3. The archetype of initiation 4. Life and death imagery in adolescence 5. Bodily, idealistic, and ideational awakenings Part III Jung and adolescence: a new synthesis 6. The individuation tasks of adolescence 7. Persona and shadow in adolescence 8. The development of conscience Part IV Adolescent psychotherapy: shifting the paradigm Introduction to Part IV: adolescence and psychopathology 9. Countertransference in the treatment of adolescence 10. Prohibition and inhibition: clinical considerations 11. Prohibition and inhibition: cultural dimensions Epilogue. Richard Frankel is a psychotherapist in private practice and a clinical social worker based in Massachusettes, USA.